Ok folks, the comments are awesome, let’s keep the the discussion going! Scott Jurek, aka The Jerker. The Vegan. The “sometimes you just do things” guy just came out with his first book, cleverly titled, Eat & Run. I quickly finished this book; it was lent to me. I maybe would have bought it but only when it became soft cover, or I would have waited until it was out in the library. Anyway…the book was a fairly interesting read. I actually gleamed the most by looking up some of the people or charecters in the book. I also have now added more books to my Amazon cart for extra reading. I’ve always loved Andrew Weil. The accounts of racing ultra distance were very hard for my scaredy cat, peabody, 2 marathon brain to register but I was able to envision the scenery and tried to fathom the limitations of ones body. The recipes and running tips at the end of each chapter I found helpful. 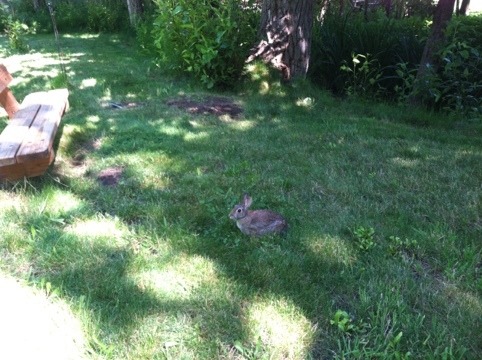 running but the vegan lifestyle as well-Props to that! No matter if I would make the same choices as someone eles, be it ultra running, veganism, drinking copious amounts of alcohol,or whatever. I quite enjoy listening to someone explain thier passions. I find it fascinating (ok maybe that’s a bit strong) and endearing. I feel like since he’s writing a book he could have dished a bit more dirt and been less repetitive. 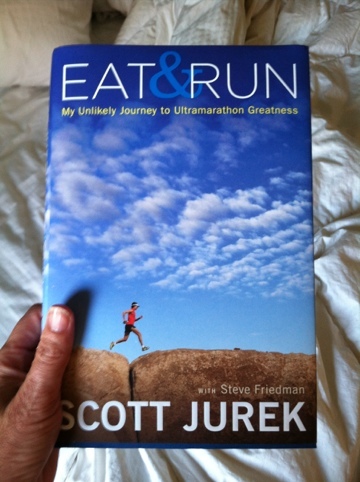 All in all the book is about running and food, two of my favorite pastimes. Since it was an easy and free read I’m glad I took the time to learn more about the cray cray ultra dude, The Jurker. Although wouldn’t it be great to hear Dusty’s viewpoint? *Dusty was Scott’s pacer, bestie, and pulled him through tremendous races; like a brother wife. It seems they no longer speak. Anyone else read the book? Thoughts? Is there anyone that has helped pulled you through a race? Do you know what’s become of Dusty? Well, I’m glad to get a raw, honest review of this book! He has such a fan base (and I do like him, too) that it seems no one is going to say anything negative. So thank you! Also just started this book and I am in agreement with your point of view. As for Rusty i hope he is still a factor in scott’s life. I have a best friend who texted me through some of my toughest marathons this past year and Met me at the final miles of at least two marathons to give me encouragement and push me onward. She, even when not at a run, is a voice in my head pushing me to not give up and finish strong and find the fun.